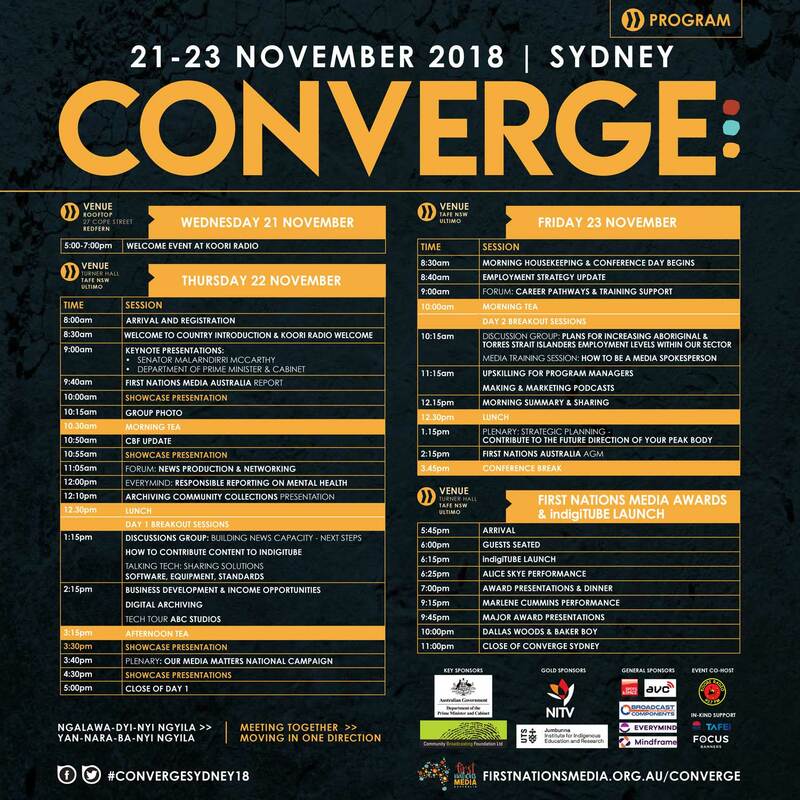 Eora Nation (Sydney) was the meeting ground for CONVERGE; First Nations Media National Conference. Aboriginal and Torres Strait Islander media professionals and organisations gathered from 21–23 November for the annual conference, with the inaugural First Nations Media Awards and the official launch of indigiTUBE on the Friday evening. Delegates explored and discussed policy around the vital role of First Nations media in Australia and heard from organisations that are benchmarking excellence. CONVERGE also provided an opportunity for media to discuss and self-determine how First Nations stories are reported and shared. The conference included the Annual General Meeting which a report on First Nations Media Australia’s interactions with government and other agencies, allowing members to inform First Nations Media Australia on future directives for the coming year.